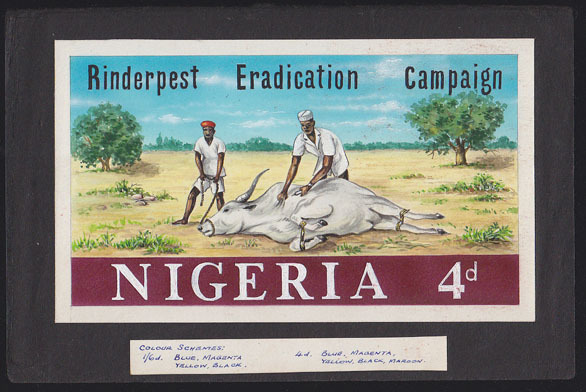 18042 MAQ NIGERIA (1967) Natives inoculating cow*. Original artwork for Bovine Pest Inoculation issue. Watercolor on paper mounted on another sheet measuring 19 x 13 cm. Scott No 214. Unique!